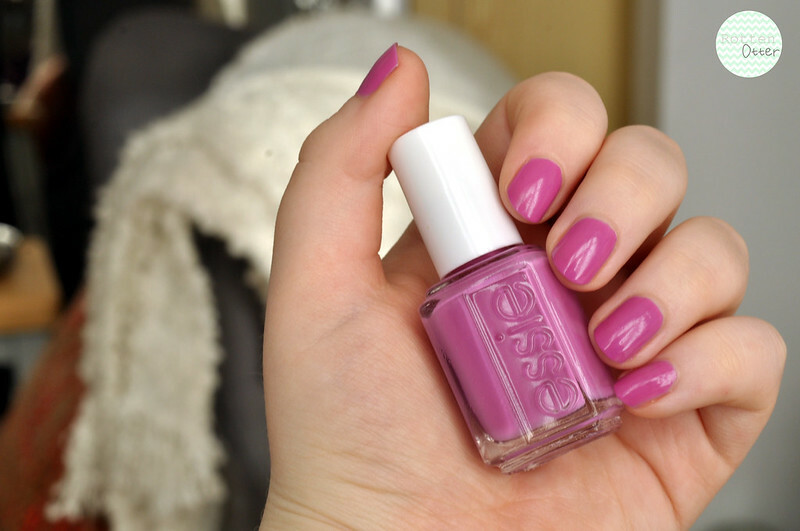 Essie's Splash Of Grenadine is one of my favourite nail polishes to wear but for some reason I haven't blogged about it before. It's one of those polishes that everyone asks what you're wearing and compliments the colour. It's a bright pink-purple that still manages to be quite subtle. The formula is pretty much perfect as well! The diffusion line brush means you can paint your nails in one or two swipes and it only needs two coats for it to be opaque. That is a lovely shade! I am always a little self-conscious wearing pink shades and I'm not sure why - but this is so subtle with a hint of purple too - perfect! I always feel that the Essie brush is a great size and shape for my nails and find it easy to paint without going onto my cuticles. Pretty, I just don't suit purple! This is such a bright uplifting shade.